Simply put, spinal cord injury claims differ from other personal injury claims because of the extreme impact they can have on someone’s life and well-being. The spinal cord is essential for daily tasks such as walking, eating and moving in general. Therefore, a spinal cord injury has the potential to amplify the pain and suffering an individual has to go through. What Is an Injury to the Spinal Cord? As you might expect, a spinal cord injury is physical damage to the bundle of nerves that runs down the length of the human body. A spinal cord injury can involve the individual bones, or vertebrae. Also, it can affect the bundle of nerves that run along the spine. The spinal cord is the brain’s primary means of communicating with the rest of the body. Therefore, even a ‘minor’ injury can cause major problems. The effects of a spinal cord injury can last for just a few days or a lifetime. It depends on the nature of the injury. ● Loss of feeling and sensation in some regions of the body. 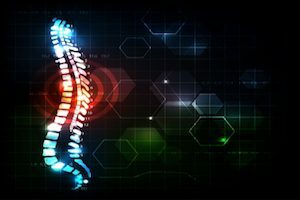 How Are Spinal Cord Injury Claims Different from Other Claims? As you can see from the above list, an injured spinal cord can cause significant changes to the body. In extreme cases, a person may no longer be able to walk, talk or breathe on their own. In other cases, a person may no longer be able to do things at a level they were once able to, such as play a sport, musical instrument or engage in physical activities with family and friends. Spinal cord injury claims are different from other personal injury claims. That’s because of the level of impact a spinal cord injury has on a person, beyond things like medical bills and lost wages. From a legal perspective, it means that someone suffering from a spinal cord injury due to the fault of another is more likely to recover a higher damage award. In a perfect world, spinal cord injuries wouldn’t exist. But because we don’t live in a perfect world, if you or someone you know needs to learn more about a spinal cord injury claims options, please call Williams & Williams, LLC at 770-823-2711.